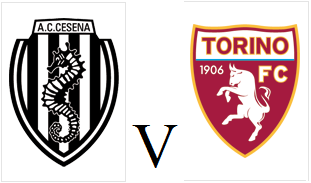 Torino will look to secure their first away league victory since September when they travel to Cesena on Sunday afternoon. Maxi Lopez could be in line for his first start in a Granata shirt following his debut for the club in Wednesday's Coppa Italia defeat to Lazio. Kamil Glik is suspended, so Pontus Jansson should deputise, whilst Fabio Quagliarella has also recovered from injury. Cesena have struggled since returning to Serie A, and are currently in the bottom of the league having only won one game all season - on the opening day against Parma.